This is a die-cut Linco Marathon Products porcelain sign. 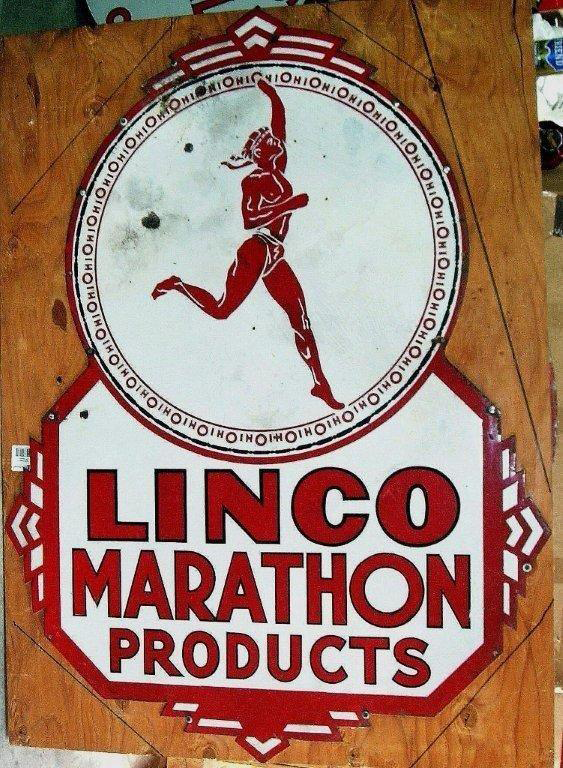 This particular Linco Marathon Products sign is red and white. It reads, “Linco Marathon Products” and features a red marathon runner at the top.